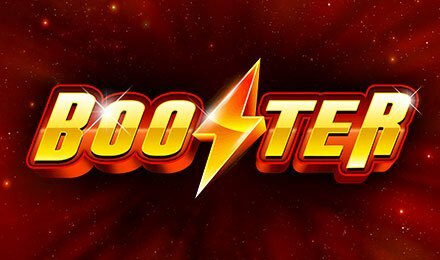 Designed by iSoftBet, Booster is a slot game which follows the classic fruit slot theme. However, unlike classic slot games, this one is made of 3 reels and 25 paylines. Even if the gameplay of this online slot machine is rather simple, it is loaded with awesome features which will take you to the moon. This retro themed slot game consists of symbols like stars, 7s and Bars. You can see these symbols in action by rolling the reels of this online slot game at Moon Games. The modern graphics can be appreciated on mobile phone, tablet or laptop. On this 25 payline slot, you can select up to 1000 games to be played hands-free. This can be done by choosing the auto-play option which lets you finish some other tasks in the meantime. Bet Levels: This online slot machine does not consist of the Bet Level Field. Amount of Paylines Selection: On this 4x5 reel game, you won’t be able to alter the 25 fixed paylines. Coin Values: The coin values you can pick range from £0.25 to £50 per spin. There are no wilds on this game, but you will find bonus symbols, which make up for it. You can explore the world of bonuses when the bonus symbols award grand bonus rounds. You can grab up to 100 free spins while the multipliers offered can be up to 5x.